Looking for a little healthy inspiration and body positivity? 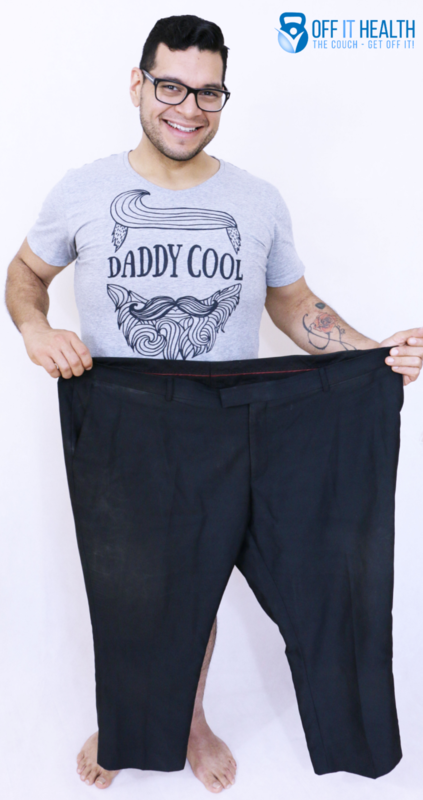 Look no further than the following interview we did with Oscar Chavez of the The Voice Australia who has lost 160 pounds by opening up, getting real and doing the deep inner work that real, lasting change requires — and often times isn’t talked about, especially with men. You can read more about his journey here — and below, obviously! Many people experience an ah-ha moment when it comes to lasting weight loss. What was the moment when you knew you needed to change? I was sitting in the doctor’s office, recounting my daughter Arianna’s first steps as my blood pressure was being taken. Suddenly, my doctor’s eyes shoot open wide and he tells me that my blood pressure was through the roof! He laid it out to me in all seriousness: “If you don’t lose weight, you won’t live to see your kids’ kids. You should get lap band surgery.” I was scared at the prospect of not seeing my kids build a family of their own. I was also terrified at the prospect of surgery. I wanted to LIVE — more than I wanted to keep up with the excuses. I wanted to prove my doctor wrong and that I could do it on my own. Can you tell us a little about your experience yo-yo dieting? How did it affect you? I yo-yo dieted for 10 years, trying all the diets and products the industry threw at me. Meal-replacement programs put me on a severe calorie restriction and I was left feeling lethargic and hungry all the time. I lost weight temporarily, but put it all back on (and more) as I spiraled back into my old ways. My confidence and self-esteem took blows every time I failed at another diet, fueling my bad eating habits even more. I did my own research. 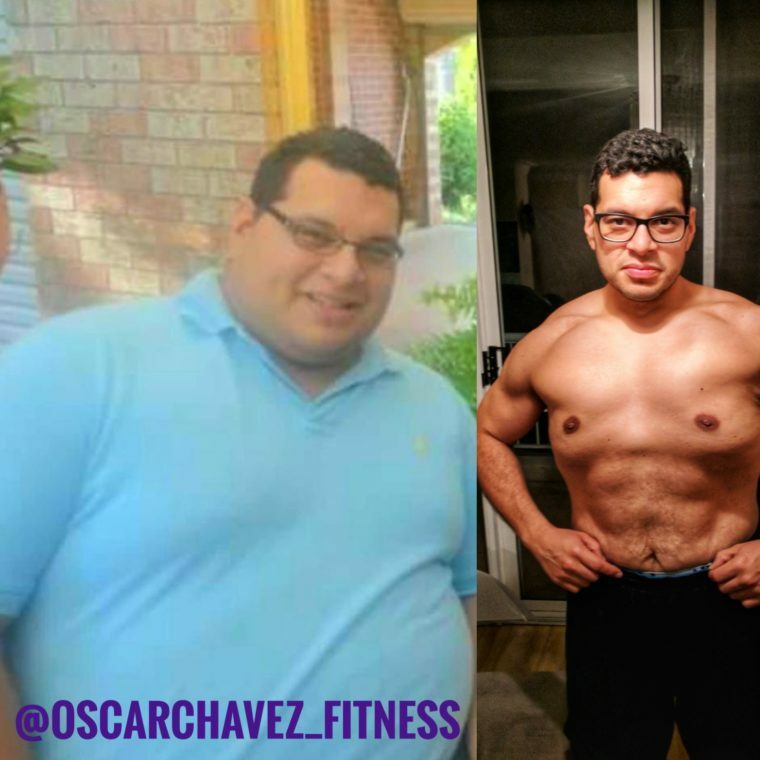 Meal-replacement programs gave me the tools to lose weight, but once I got off the program, I didn’t have right mindset or the knowledge to beat my food addiction. I hit the internet and started reading about nutrition, the human body, metabolism and exercise. I documented all my findings so that I could help other yo-yo dieters escape the endless cycle and achieve lasting weight loss as well. What’s the one mistake people make when trying to get healthy? Severe calorie restrictions. The body needs a certain amount of calories just to keep functioning. If people are not eating enough, the body starts to compensate for this, slowing down the metabolism, preserving more of your fat stores. Your ability to think clearly is also negatively impacted and a myriad of other issues will start to follow. Losing weight is one thing, doing it in a way that doesn’t compromise your overall health is another. What’s the best health advice you can give? Love yourself enough to nourish and nurture your body. A physical transformation is not possible without first addressing your mindset. When we are overweight, we live for years with that Inner Bully who is always in our ears, telling us we’re not good enough, we’re not worthy and that we’re not loved. What we need to do is embrace that Inner Warrior who will fight for our happiness and has the courage to tackle challenges head on. The key to unlocking health and happiness is within us all. We just have to be prepared to look within and listen to our hearts. If you could go back in time and tell that 354-pound guy on The Voice Australia one thing, what would it be?